Framaroot is a one-click application to root some devices. Here's an one-click application to install Superuser and su binary on phones which embed Exynos4 and maybe some omap processors (I've only tested on Archos 101 Gen8). 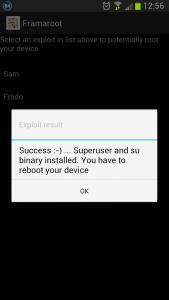 Superuser and su binary include in application work from android 2 to 4. Compatibility for Exynos devices : Samsung Galaxy S2 Epic 4G Touch - SPH-D710 Samsung Galaxy S2 AT&T SGH-I777 Samsung Galaxy S2 GT-I9100 Samsung Galaxy S3 GT-I9300 Samsung Galaxy S3 LTE GT-I9305 Samsung Galaxy Note GT-N7000 Samsung Galaxy Note 2 GT-N7100 Samsung Galaxy Note 2 LTE GT-N7105 AT&T Galaxy Note 2 SGH-I317 Verizon Galaxy Note 2 SCH-I605 T-Mobile Galaxy Note 2 T-889 Samsung Galaxy Camera EK-GC100 Samsung Galaxy Tab Plus GT-P6210 Samsung Galaxy Note 10.1 GT-N8000, GT-N8010, GT-N8013, GT-N8020 iBerry Auxus CoreX2 3G and CoreX4 3G Compatibility for Omap devices : Archos 101 Gen8 Coolpad Quattro 4G LG P970 Optimus Black LG Marquee LS855 Parrot ASTEROID Smart. 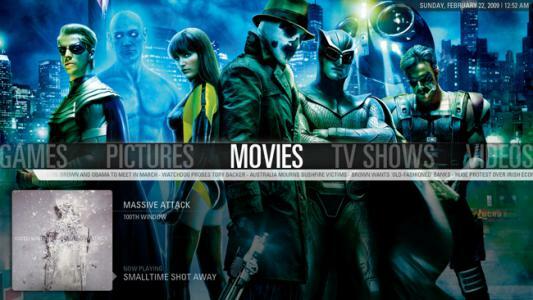 XBMC is an award-winning free and open source (GPL) software media player and entertainment hub for digital media. Currently XBMC can be used to play almost all popular audio and video formats around. It was designed for network playback, so you can stream your multimedia from anywhere in the house or directly from the internet using practically any protocol available. Use your media as-is: XBMC can play CDs and DVDs directly from the disk or image file, almost all popular archive formats from your hard drive, and even files inside ZIP and RAR archives. 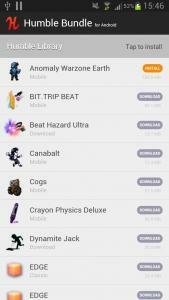 The Humble Bundle Android app is an easy way to install the games you've purchased. In addition, it sends you automatic notifications when updates are available for your installed games. Nine dazzling games for your Android device. The Humble Mobile Bundle includes nine delightful Android-only games. Pay what you want for the top-down strategy game Anomaly Korea; the charming physics puzzler Contre Jour; the quirky tower defense action game Plants vs. Zombies; and third person action brawler Bladeslinger. If you pay more than the average, you’ll also get the mysterious and intriguing puzzler The Room; the side-scrolling shooter Metal Slug 3; the hip arcade game Funky Smugglers; the frenzied arcade shooter Raiden Legacy; and the cinematic action-adventure platformer Another World!